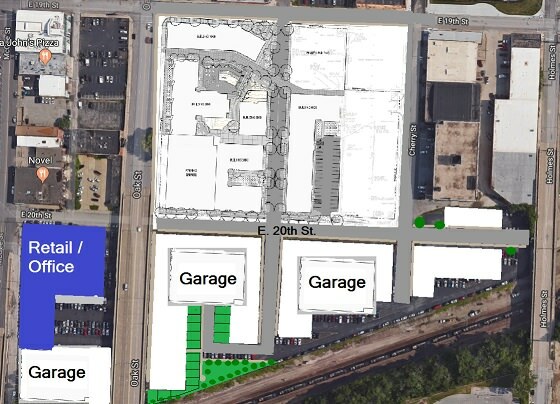 The Kansas City Plan Commission on Tuesday recommended rezoning for what would be the largest redevelopment proposal in the East Crossroads. 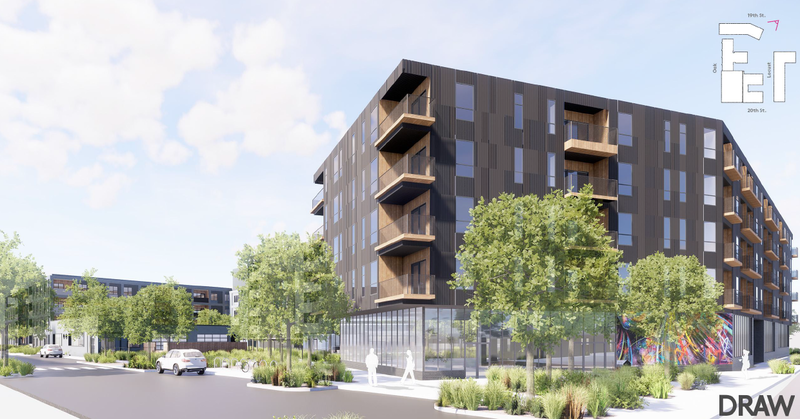 Indianapolis-based Milhaus LLC plans a $65 million mixed-use project that would include five buildings on about 4.3 acres, with four of the buildings new construction. 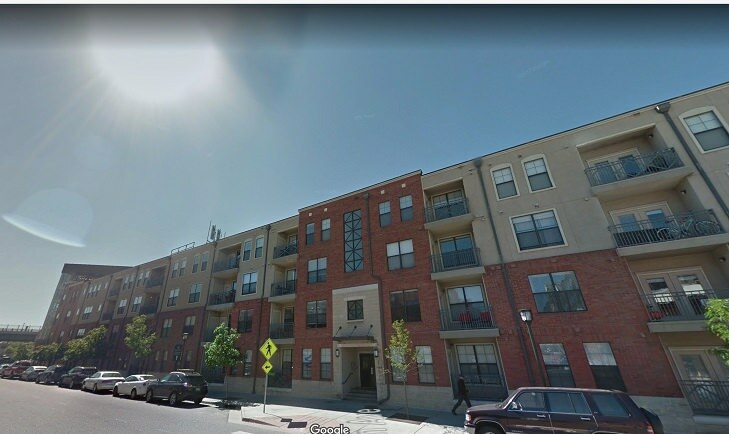 The site is bound by 19th Street to the north, 20th Street to the south, Oak Street to the west and Cherry Street to the east. Locust Street runs through the property. 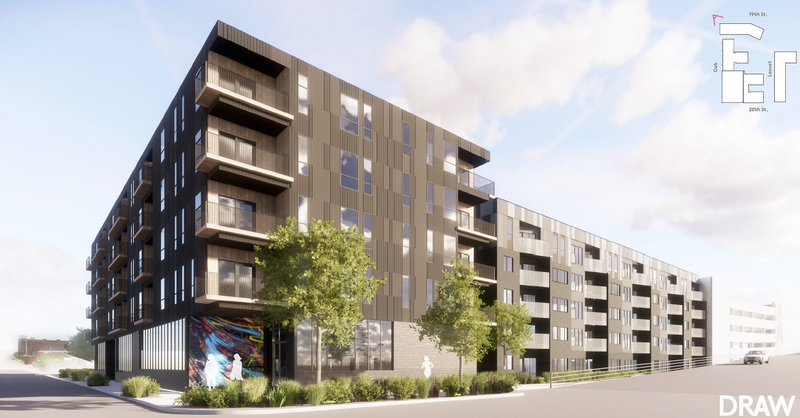 Four buildings, each four or five stories tall, will house 338 market-rate apartments — 31 "micro apartments," 88 studios, 141 one-bedrooms and 79 two-bedrooms. 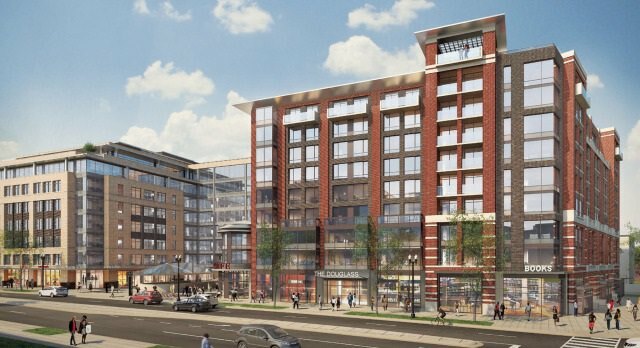 The site will include a four-story, 336-space parking garage, giving the project 396 total parking spaces, with street parking. The fifth building will become a restaurant with outdoor seating to the north. It's a partial renovation, partial deconstruction of the one-story Motor Freight Building, which was built in 1948. 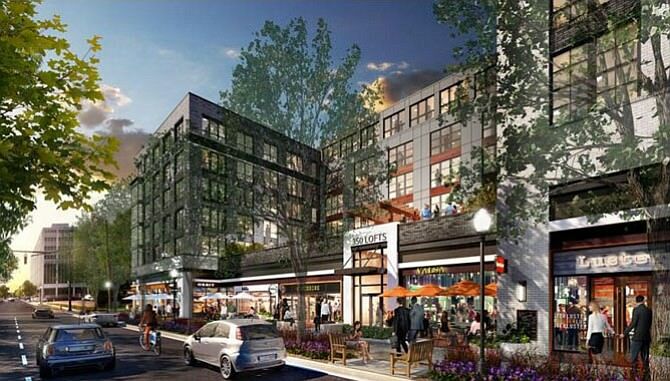 Including the restaurant, the project will have just less than 15,000 square feet of retail. 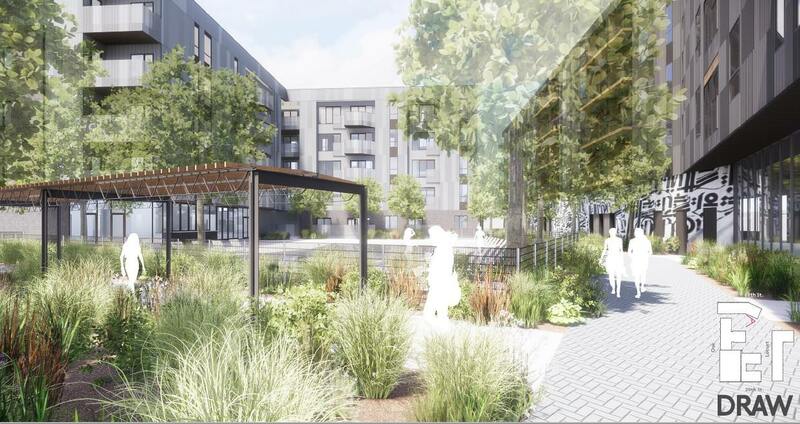 The first of three phases of the project will take about 18 months, McGurk said, with the entire project completed in about two and a half years. 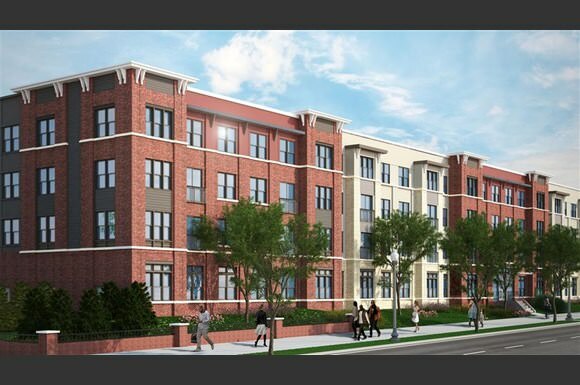 It looks like the info the BizJournal article concerning the phases of this development may be off. There will be 3 phases total. Everything pictured here is Phase 1. 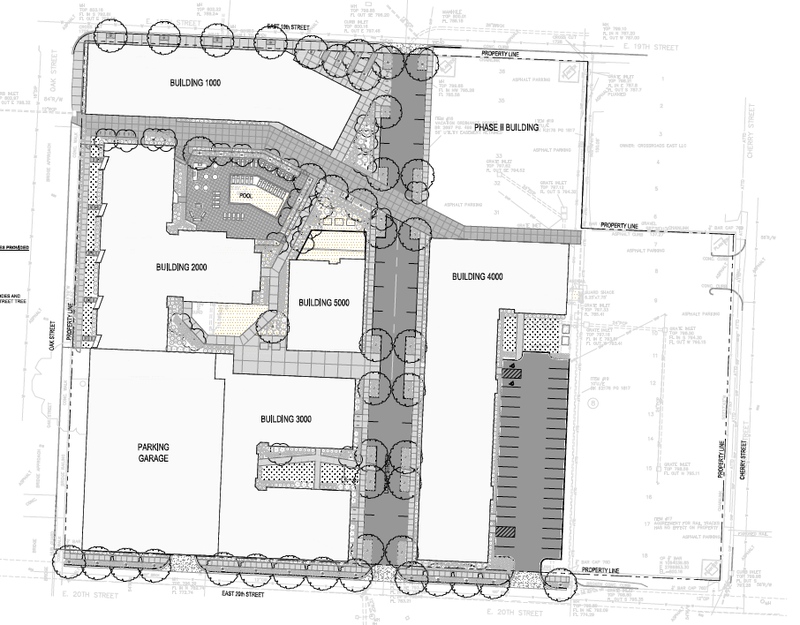 Phase 2 is shown on the site plan on the NE corner of the site. It had previously been described as a two story commercial building. Phase 3 is not labeled, but would be on the SE corner of the site and I don't think any details for that phase have been released. There are some concerns/conditions that the CPC staff has brought up for this project. The most significant details concern the parking garage. City staff has a considerable issue involving the proposed uses and elevations along E.
elevation of Building 4000 with no access, and a surface parking lot to the east. I will be curious to see how much of this is addressed. That stretch of 20th St is currently a waste land, so I can see why Milhaus would have this project turn its back to that street. 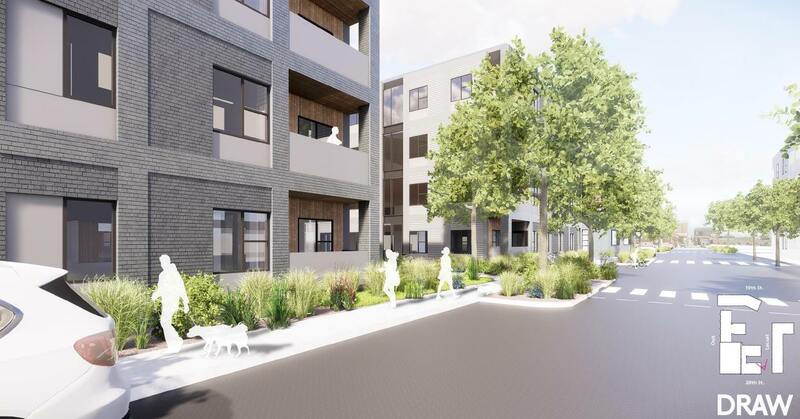 But if any development is ever to happen there, Milhaus needs to take the first step. Children's Mercy owns the parking lot to the south. Does anyone know if they have plans for it? For the record, the official "20th Street" plan stopped at McGee (and was implemented to Grand). The plan goes much farther west than SW Blvd, even though that was the western edge of what was built. If the city plans to do something about the Oak viaduct -- haven't heard anything about it! -- then I think they should let the neighborhood know. In short, I prefer the parking tucked away at the "back" of the development. It's not like it will be a big car hole anyway -- one lane in and out. KCtoBrooklyn wrote: I will be curious to see how much of this is addressed. That stretch of 20th St is currently a waste land, so I can see why Milhaus would have this project turn its back to that street. But if any development is ever to happen there, Milhaus needs to take the first step. Children's Mercy owns the parking lot to the south. Does anyone know if they have plans for it? I might not always be a wasteland. It is possible that it will get developed at some point, and whatever goes there will face 20th Street. 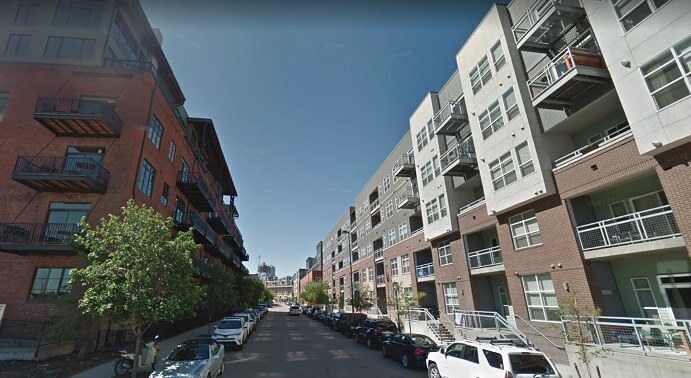 The City is just looking towards that possible future and realizing that any developer will not want to build a project facing blank walls on a street that looks more like an alley. Initially plans were to sell the offsite parking after completing the parking garage on 22nd, but with the construction on the research tower, a bunch of employees were moved to the new garage from the attached garage. With that, they are still at a parking deficit so I would imagine the earliest that the parking lots would be on the market would be when the new tower is completed. But they could also sell portions of the lot beforehand, like for example the portions under and West of the McGee bridge. Basically, they didn't build enough so things won't be changing for awhile. Construction fencing is up. Partial demo of the existing building soon. Otherwise, it's mostly utility work for now. 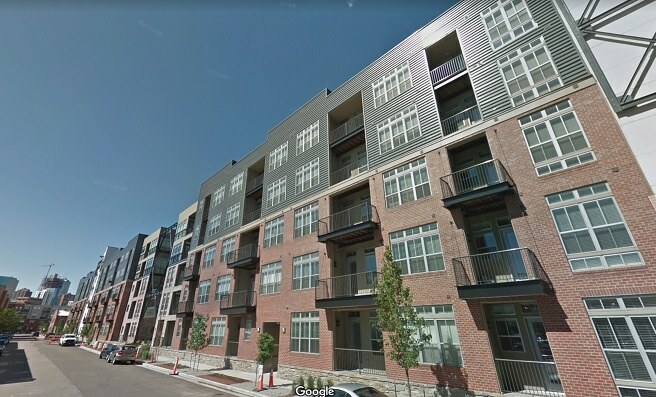 Construction of a $72 million East Crossroads apartment development that’s been in the works for 16 months is scheduled to begin today with the first residents expected to begin moving into the project in Fall 2020.